Panama City is skyscrapers looming over the Pacific, surveying a bay of big ships lined up to enter the country’s famous canal. It is multicenter shopping, free WiFi in the parks, and international eating establishments. More than any other place I’ve visited on my trip, the capital of the most southern country of Central America feels like a city in the United States. Although I had tentatively planned to visit Panama after Colombia, keeping with the theme of my trip, my plans were not concrete. The visit was solidified at the airline counter while I was trying to check into my flight to Bogotá. The Avianca airline employee wouldn’t check me in without an onward ticket out of Colombia. My sleep-deprived mind was blurry from traveling all night, so I purchased the cheapest flight I could to Panama City from Cartagena on a random day that seemed good. And that’s how I found myself in Panama, what was going to be my last destination before returning to the States. The city is, of course, known for its canal. 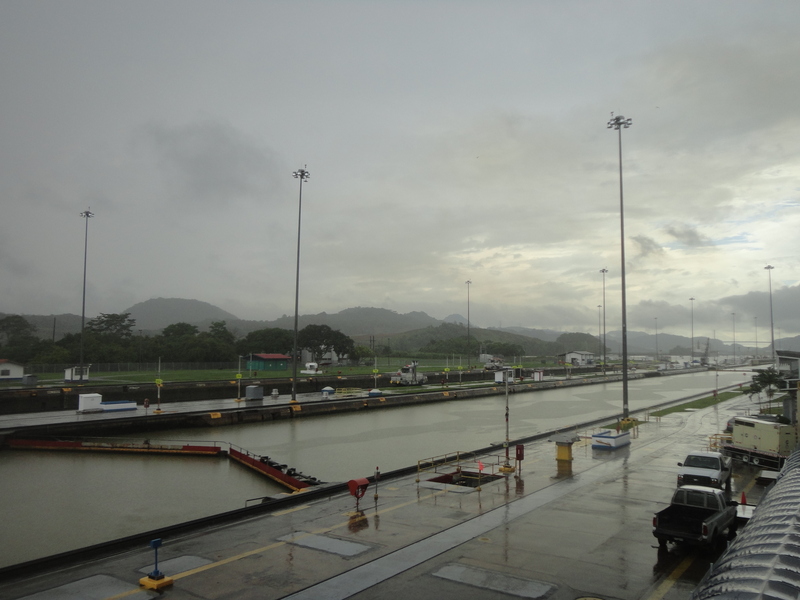 The Panama Canal is the fifty-mile waterway that connects the Pacific Ocean with the Atlantic, saving ships the hassle of having to sail around the southern tip of South America. 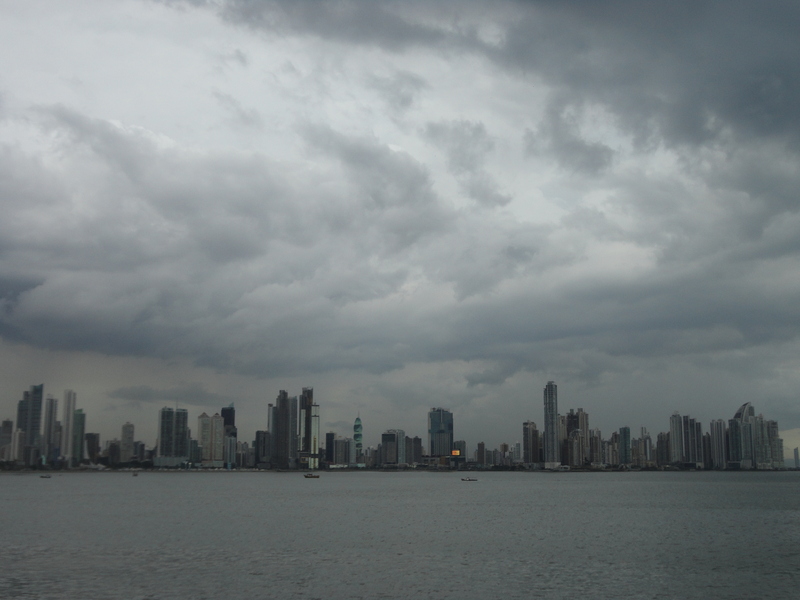 It is as much a part of U.S. history as it is a source of pride – and revenue – for Panama. 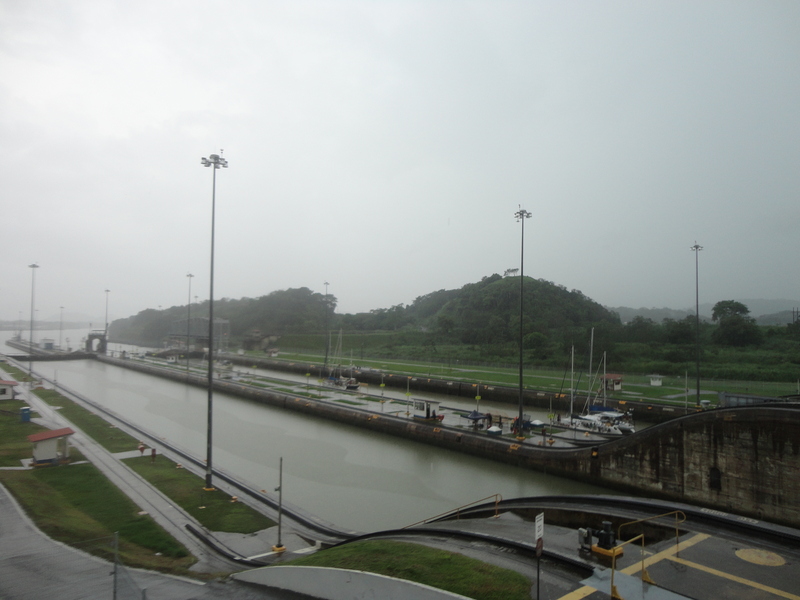 It was pouring down rain when I excitedly arrived at the Miraflores Locks, one of the canal’s three locks that either lower or raise the crossing ships to the level of the water, depending on whether they are heading to the Pacific or the Atlantic. The next boat wasn’t scheduled to cross the locks until later that afternoon, so unfortunately, I didn’t get to see a ship navigating its way through the canal. But I did get to visit a museum and watch a movie about the history of the canal. I felt like I was in school again – except I was having fun! The United States bought the interests in the canal from the French, who had abandoned the construction of the canal due to engineering difficulties and tropical diseases. Facing opposition from Colombia, who controlled Panama at that time, the United States provided support for Panama to separate from Colombia. Shortly thereafter, in late 1903, Panama declared its independence. The United States began work on the canal a few months later. The canal officially opened in 1914, when a cargo ship made the first passage. 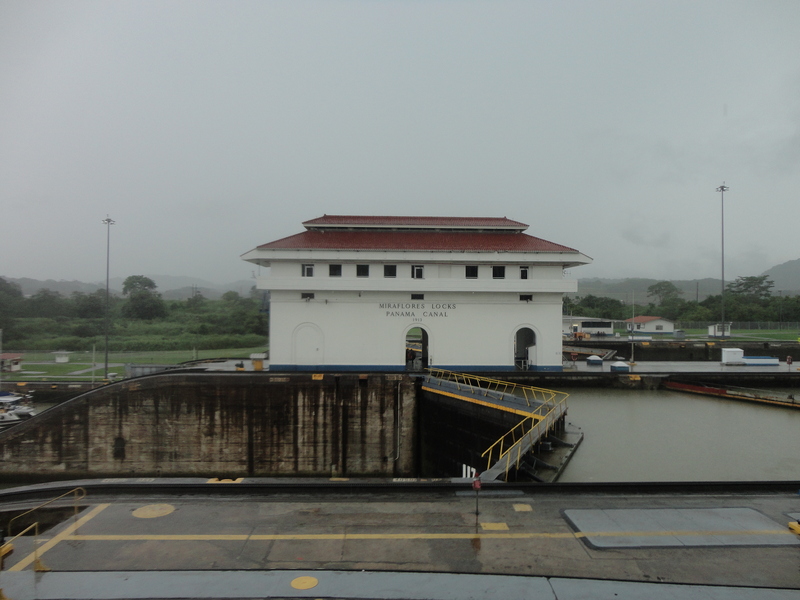 In 1999, Panama formerly took over control of the canal zone. Today, thousands of ships pass through the canal each year, paying Panama billions of dollars in tolls for the privilege. 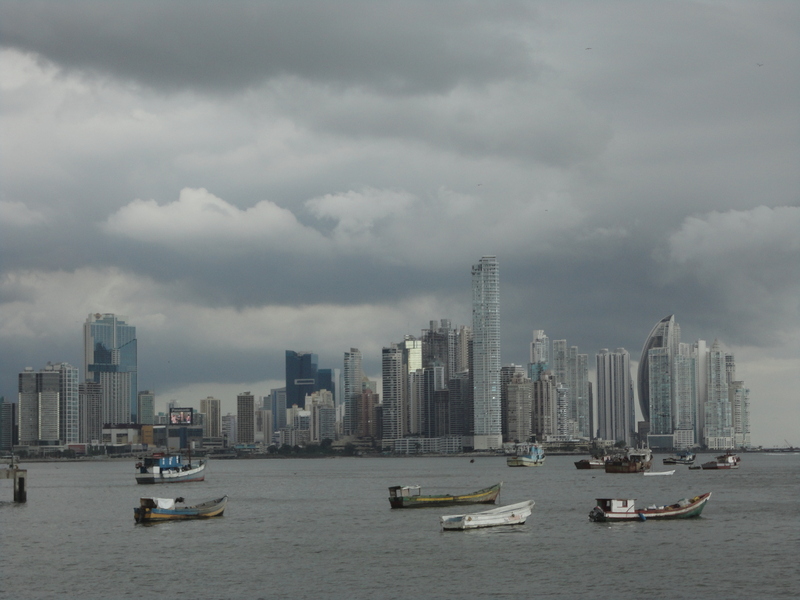 Having seen the modern Panama City, it was time to experience the old. Casco Viejo is the city’s historical quarter, built in the 17th century after the original site of the city was attacked by pirates. A small peninsula of narrow cobblestone streets and colonial buildings, it starkly contrasts with the wide arterials and modern skyscrapers of the rest of the city. The skyscrapers of modern Panama City starkly contrast with the colonial buildings of Casco Viejo. I made my way to the Old Town by way of a seaside run. The wide and flat esplanade was a fantastic spot for a run. The atmosphere of scorching hot humidity was not. 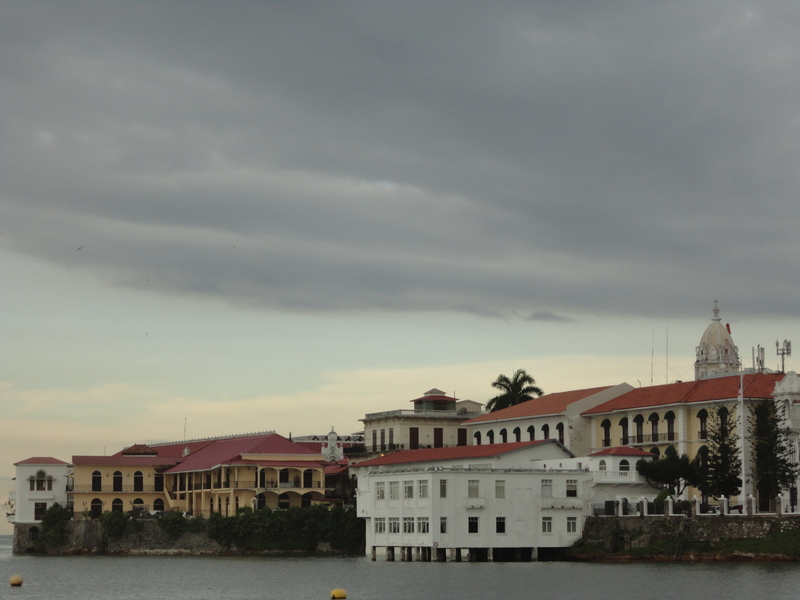 With exhausted legs, I staggered around the plazas, churches, and colonial buildings of Casco Viejo. The historical district is currently in the middle of a major restoration project. Every other building is surrounded by a construction fence, streets are torn up, and pedestrian detours traverse over piles of crumbling rock past noisy jackhammers and sparking welders. The few open streets are congested with traffic. 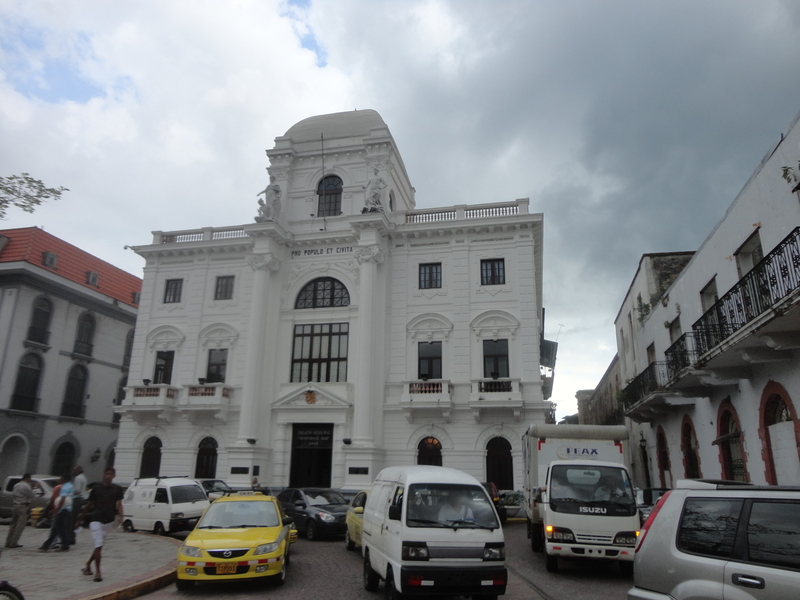 A building that has already been restored in Casco Viejo. And lots of traffic. It will be a much better place to visit when it’s fully renovated. Now I’m waiting for a flight that will finally take me home. But the journey is not over. I may be returning to the States, but I have no intention of reverting back to my unsatisfying, overworked life. I’m not sure what is in store for me in the future. But whatever it is, I am looking forward to it. This is really just the beginning.